Looking to take the family for a great day out this winter? Here’s our pick of the best kids' and family menus at some of our favourite destinations. Looking to take the family for a great day out this winter? Here’s our pick of the best kids’ and family menus at some of our favourite destinations. 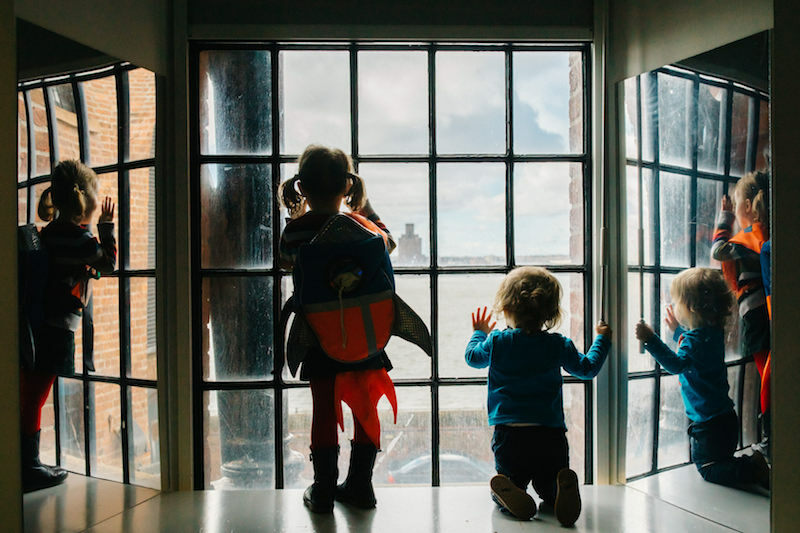 At Tate Liverpool there’s lots to explore, play and have fun with activities specially created for young people to be inspired by art. Families are invited to visit Tate Liverpool’s free family space situated on the first floor and open daily. Families can discover a whole galaxy of art with a free fun rocket backpack which is available every day. Designed to help young children and their adults explore the collection display Constellations together, it provides a number of arty activities. Kids aged 12 or under can eat for free when an accompanying adult buys a main course from the seasonal menu at Tate Liverpool’s dazzling café. There is a child-friendly menu, younger visitors can enjoy an activity sheet and crayons and the café provides highchairs. 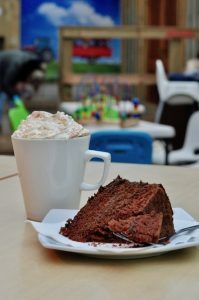 Wirral’s award-winning family attraction, Church Farm, has launched a new vegan and gluten-free cake menu at its popular coffee shop – just in time for Christmas. Visitors will now be able to tuck into a tasty beetroot falafel and roasted vegetable panni, washed down with a choice of soy lattes and finished with a tasty chocolate cake – all vegan friendly. Also hot out the oven are a range of delicious gluten free cakes including a muesli flapjack, chocolate brownie, Bakewell Tart and peanut butter cake. Santa drops in to Church Farm on his way to the North Pole. He also brings his friends the elves, Frosty the snowman, Rudolph and some other friends. The farm hosts a Santa Experience lasting 30-45 minutes, with farm animals and a play area, with a chocolate gift for children and mulled wine and mince pie for adults. For more information call 0151 648 7838 or visit their website. 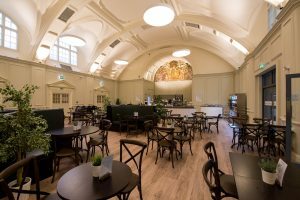 World Museum’s café re-opened this year with a new menu serving locally-sourced food freshly-made by National Museums Liverpool’s team of in-house chefs. Once part of the Technical School of Liverpool, which opened in 1901, visitors to the café can now enjoy a selection of hot meals, salads, soups, sandwiches, cakes and hot and cold drinks in a stylish, comfortable setting perfect for families. The renovation of the café facilities has made a feature of the original architecture, and intricate plasterworks adorn the wall. Open daily from 10am – 4:30pm, breakfast is available until 11:30am and the café has a range of additional facilities including free Wi-Fi, highchairs and microwave facilities for the youngest visitors’ bottles and baby food. A kids’ menu featuring fresh, tasty options is available, there’s ample space for prams, and breastfeeding is encouraged throughout the museum – it’s the perfect place to bring the family for a stress-free lunch.